Friday September 30th the Coaches Across Continents Team Ghana assembled. The first time volunteers (Marisa Brown, Emily Lambert, and Jaren LaGreca) joined forces with CAC founder and Global Strategist, Nick Gates. For this particular trip the CAC team has the pleasure of working with the Ghana Youth Icons organization led by Nana Yaw Osei-Darkwa. The Ghana Youth Icons aim to empower young adolescents and give them a voice in their communities to create positive change. Naturally this idea of ‘empowering adolescents to create positive change’ fits well within the mission of CAC, so when we all met together for the first time there was an immediate understanding and enthusiasm for what we hoped to accomplish. We all spent the first night together in Accra to catch our bearings before embarking on an 11 hour bus trip to the northern province of Ghana and the township of Tamale. At 6am the next morning we were off, and I found myself in awe as we winded our way up the lush green hills of Ghana, Accra slowly sinking away in the distance. My initial awe was soon replaced with anxiety as we navigated tight roads and saw mangled cars that were last night’s casualties of the jungle. I think I counted 8 accidents in the span of about 10 miles. The excitement continued and soon after we were introduced to one of Ghana’s most abundant animals, the goat, as we ran one over with the van. 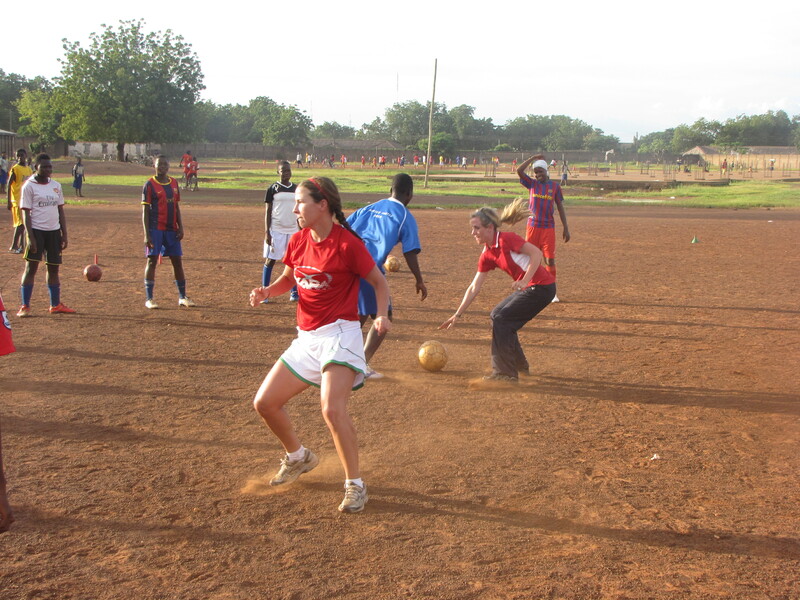 While the trip was long – it was far from boring and that night we settled into our hotel in Tamale. 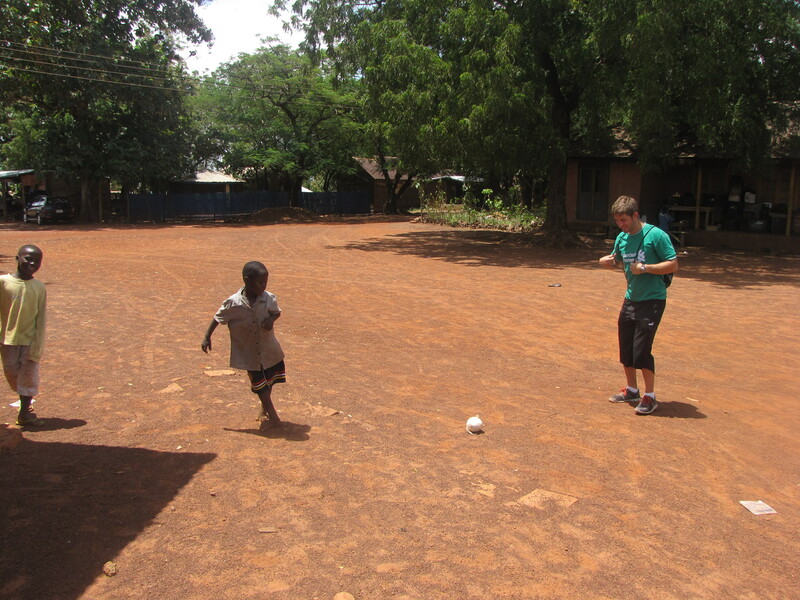 Our first day in Tamale was pretty indescribable, but I will do my best to recall the details. As I remember it, we all awoke and climbed into the van at about 8am to take a little tour of the city and restock on supplies. However, soon after we left we all realized we weren’t just going out to explore, rather we were going to see the chief of Tamale at his palace. As we pulled up to a large circular hut we found ourselves in the middle of a brawl between two conflicting parties that had traveled to the chief to try and settle their dispute. We watched from the security of our van as fists flew, kicks and blows exchanged, and people angrily chased each other around the compound (non-violent conflict resolution is an issue we are addressing in our training). I remember thinking “what have I got myself into?” Eventually, we were escorted into the large circular hut where the chief resides. As we entered the hut we were kindly greeted by the chief and his council of elders. A conversation then ensued between the chief’s speaker and us; through his speaker, the chief expressed his gratitude and excitement for our presence in Tamale and the education we hoped to impart with its people. The whole exchange was rather traditionalized and in effect we were gaining endorsement from the chief. The next big event came the following day with the kick-off of the program. A large press conference was put together at a local soccer stadium where teachers, the media, school board officials, the chief and his elders, and representatives from our sponsors all convened to explain what we hope to achieve in the coming weeks. The event was a huge success, over a hundred people were in attendance and various media outlets began running stories about our program. Later in the afternoon we then held our first coaching session. 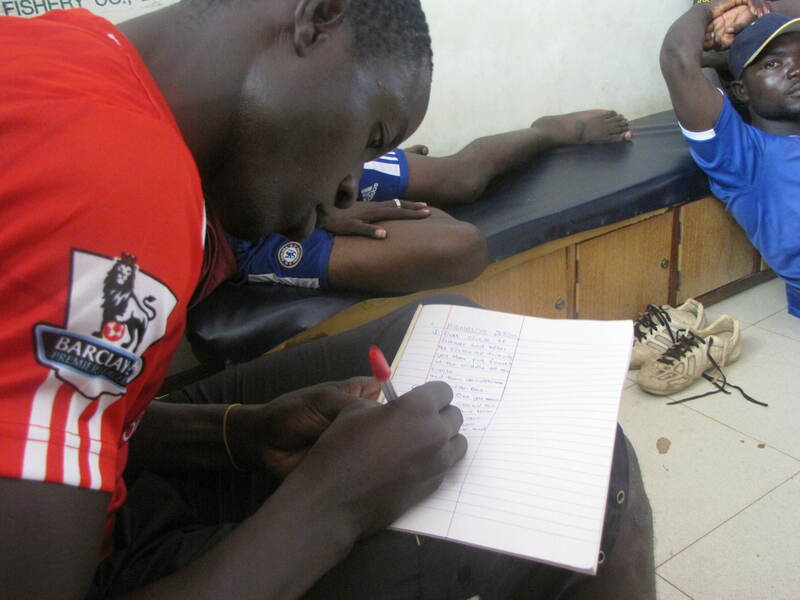 The aim of our program is to use soccer to educate physical education teachers about life skills and financial literacy so that they can then pass the knowledge on to their students in a way that is both fun and sustainable. Roughly 100 teachers were in attendance, each of which teaches about 100 students. In effect, our program will reach 10,000 students within the coming weeks, absolutely incredible. This first session was a simple introductory session but it was full of energy. I remember being impressed by the teachers’ desire to learn; you can just tell that many of them are striving to be the next leaders within their communities. If you talk to them they will tell you that they want to give their kids an education and opportunities that they never had, and do what they can to improve the lives of people in their communities. As educators ourselves, this is exactly the kind of attitudes we were hoping to see and so CAC and the Ghana Youth Icons are confident that after two weeks of training positive change will be inevitable. 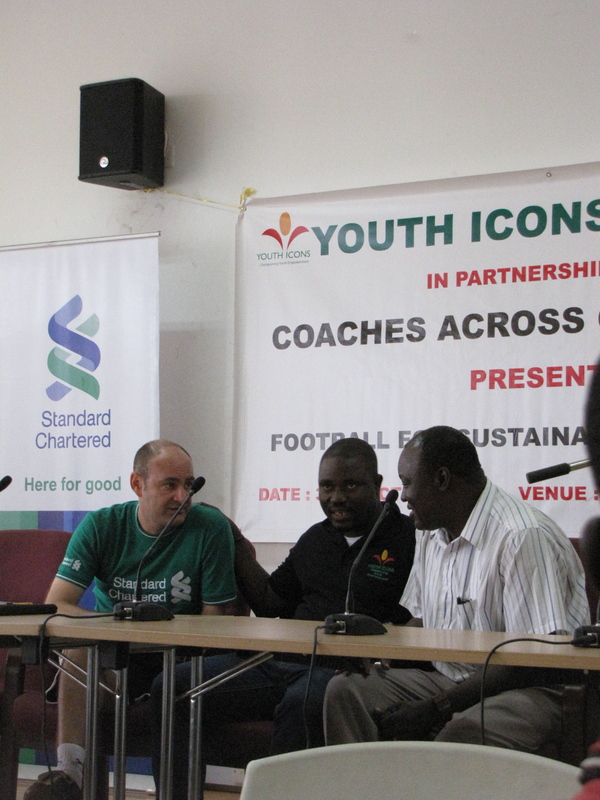 Next: Top 3 moments in Ghana with our implementing partners Youth Icons and Standard Chartered Bank.